Inspection scope: the wear, corrosion, tension, bending, deformation, fatigue, broken wire, the degree of exposure of the rope core, and determine the safe weight (including scrap) of the steel wire rope. The service life of wire rope has a great relationship with the method of use. It should be required to use, do not drag, throwing, use no overload, are not allowed to make wire rope sharp bend, no sharp change of lifting speed, avoid impact load. Wire rope of Overhead Crane Components is rust and grey scale, and use wire brush to brush to oil. The wire rope of Overhead Crane Components is greased once every 4 months, and it is better to soak the rope core with hot oil (about 50 degrees Celsius) and then wipe off the excess grease. 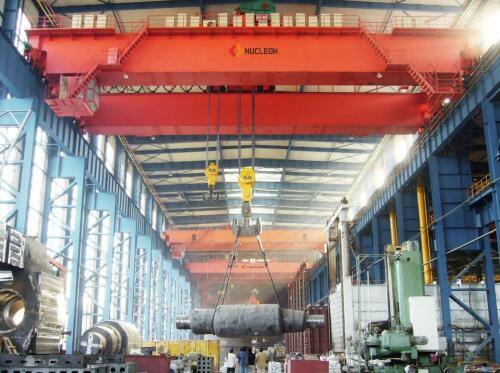 The wire rope of Overhead Crane Components should be placed in a clean and dry place, and should not overlap stacking to prevent sprain. At the end of the wire rope with wire or tie with a low melting point alloy welding, can also be used to avoid the iron hoop, rope loose. In use, the wire rope of Overhead Crane Components surface, such as oil drop extrusion, indicating that the wire rope has to withstand considerable power. At this point, the load should be stopped and checked, and new steel wire should be replaced if necessary. The carrying capacity of the traction steel rope should be 5 – 8 times of the total tractive force.